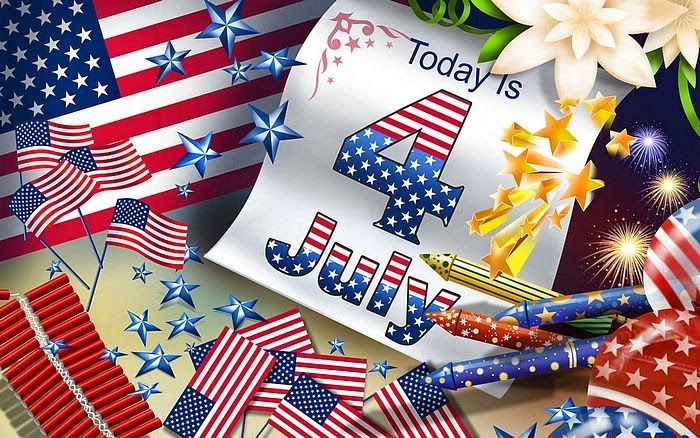 If you want to celebrate the independence day of USA on this July 4th, below you are going to find a great selection of images related with this date that you can use for creating a message, share it, send it or print it and this way you will be able to surprise to your special people. Choose the images you like more and let your imagination and creativity fly. The United States's flag waving with some fireworks. 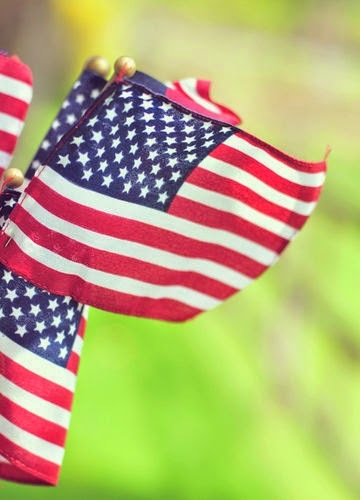 A background with the colors of the USA's flag. 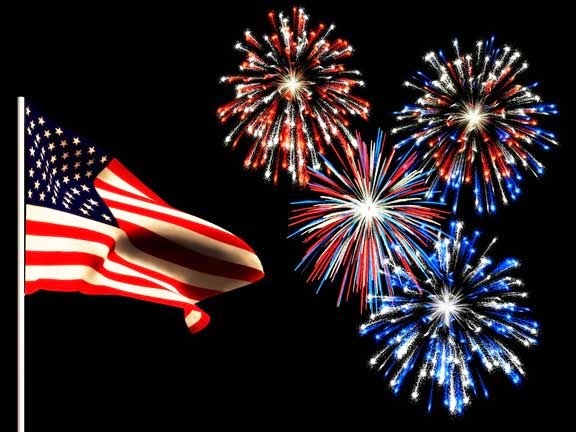 A nice image with the phrase Independence Day and some flags, hats, fireworks and a barbecue. 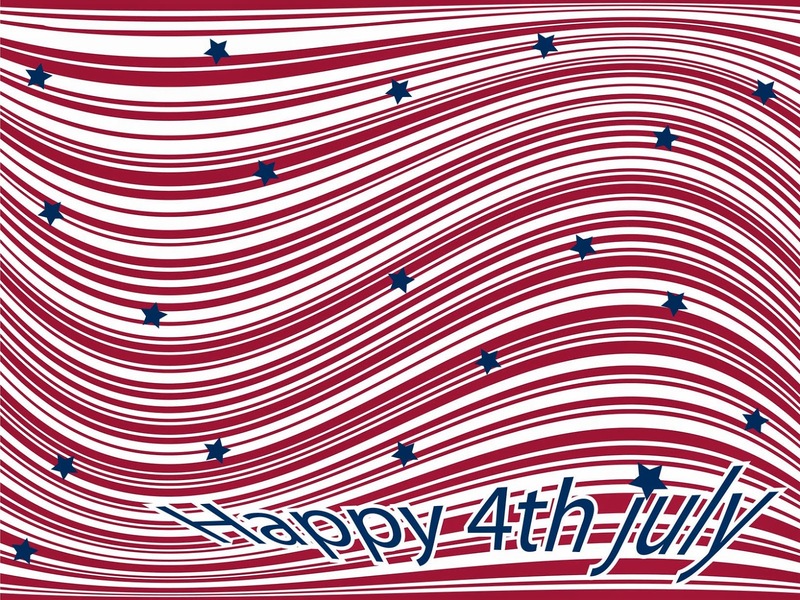 Images with some wavy lines with the colors of the USA's flag and red and blue stars. Images with some american flags. 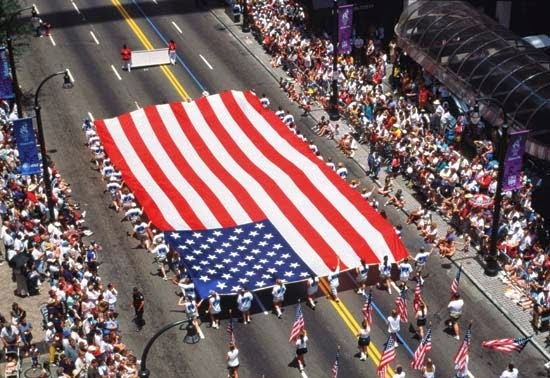 A parade with an enormous american flag. A collage with american flags, fireworks and a page of a calendar that says Today is 4 July. 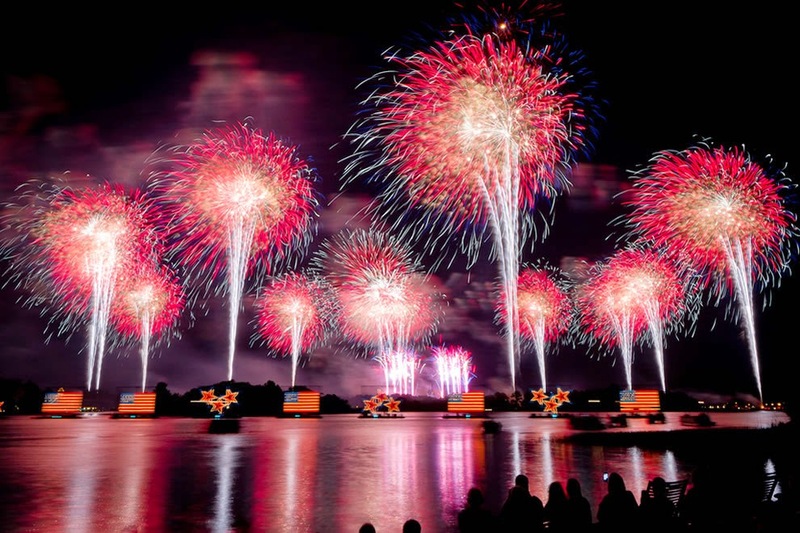 A beautiful show with fireworks in an american city. 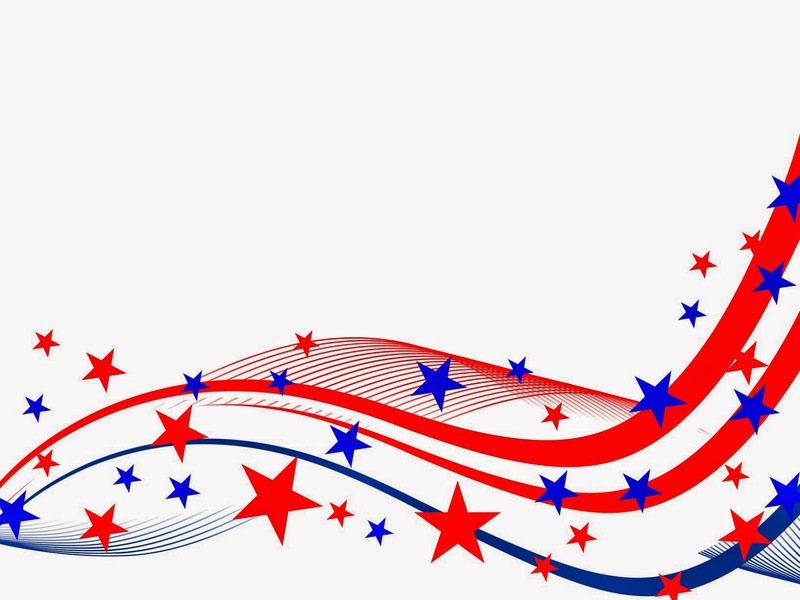 I hope you have enjoyed these Independence Day of USA Images.